Thanks to legal scanning, 50% of UK courtrooms now work completely digitally and they’re reaping some big benefits too! Back in June last year, the Government announced its plans to have courtrooms in England and Wales fully digital by 2016 and they seem to be halfway there. It was believed that the ‘outdated reliance on paper’ in the criminal justice system was slowing down the efficiency of cases as well as costing the Government unnecessary funding so they set about the reducing the 160 million sheets of paper used on average by the Crown Prosecution Service. In the past few years, the rules on paper documents in court have changed to enable a quicker, more efficient and cost saving solution and wifi has been installed into a large number of courtrooms to aid digitised hearings. 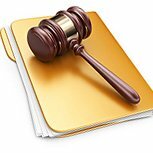 Legal admissibility is no longer a problem as digital documents are now accepted as evidence in a court of law and can be transferred between relevant parties via email to save time. These steps by the Crown Prosecution Service have been made to turn the criminal justice system into a ‘digital and modern public service’. Files and documents can be shared instantly through email and shared platforms. Money can be saved on paper, ink and printing. Time will be saved with instant retrieval of digital documents. There will be no need for hearing to be adjourned due to not having the correct documents as they can be found there and then. There will be a reduced burden on administrative duties. Sensitive data can be held more securely through password protection and file encryption. There will be better overall efficiency of court proceedings. What do you think about the Government and Crown Prosecution Service’s steps to convert the criminal justice system to digital? 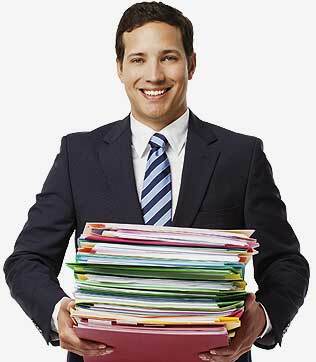 Here at Pearl Scan we provide document scanning services to companies in the legal sector wishing to benefit from cost savings, time savings and better efficiency. Our legal scanning services are completely bespoke and can be tailored to suit the needs of each individual client. Our e-Discovery and e-Disclosure service can help you to keep track of all of the documents involved in your case through digital document management and we provide consultancy throughout the scanning process to help you to get the most out of your documents. For more information about the range of legal scanning services and document management solutions we offer, check out our dedicated site or get in touch today and you can also request a free, no obligation quote for your legal scanning project by following the relevant links below.